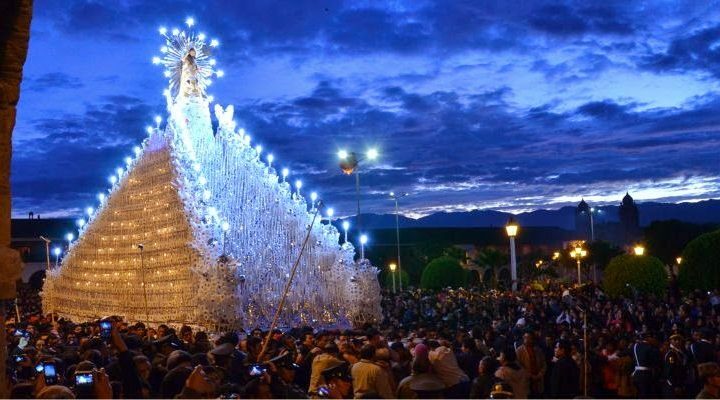 Easter may be observed across the globe, but nobody celebrates it quite like the communities of the Andes. Easter in Peru, commonly known as Holy Week (Semana Santa), offers a time for many sacred events and celebrations throughout the Andes. Friends and family gather together, and many attend church to mark the occasion. Others embrace the national holidays of Maundy Thursday and Good Friday (the Thursday and Friday before Easter) as opportunities to get out to parks or landmarks and enjoy in their days off. 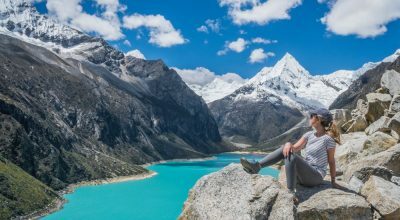 Ever since Catholicism was brought to Peru by Spanish since the XVI century, the Andes have had a complex (and beautiful) approach to religion. When the Spanish arrived, indigenous Andean communities already had their own established religious beliefs and practices, many of which became a part of their newfound Catholicism. Today, the result is a syncretic relationship between Catholicism and indigenous beliefs, blended into a unique approach to faith. No time is this syncretic relationship more apparent than during Holy Week, when native religion and Catholic rituals are brought to the forefront through commemorations and unique Peru Easter traditions. Holy Week represents the most important days of the year in the Catholic calendar. Easter Sunday, the day that concludes Holy Week, is meant to celebrate the resurrection of Jesus Christ. 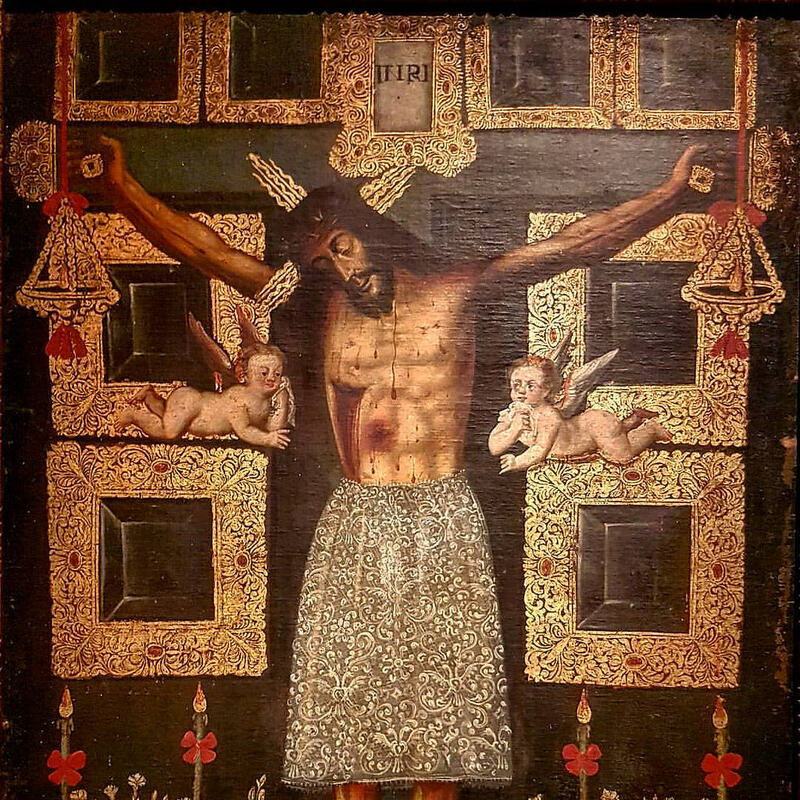 Holy Week itself also includes important holidays: Holy Thursday, also known as Maundy Thursday, honors the Last Supper, and Good Friday is a somber day that reflects on Christ’s crucifixion. In many parts of Latin America, Semana Santa is an especially treasured time of year. In the Andes, you’ll find all kinds of special Peru Easter traditions worth traveling for, and thousands of visitors will join locals in the cities that most love to celebrate. 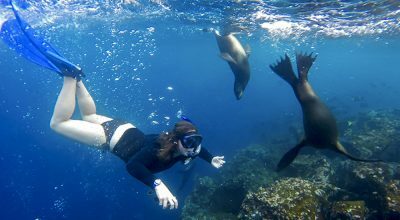 Here’s where to experience Easter in Peru and make incredible memories. Each year around Easter, thousands of visitors descend upon Ayacucho, a lovely city in the south central Andes. 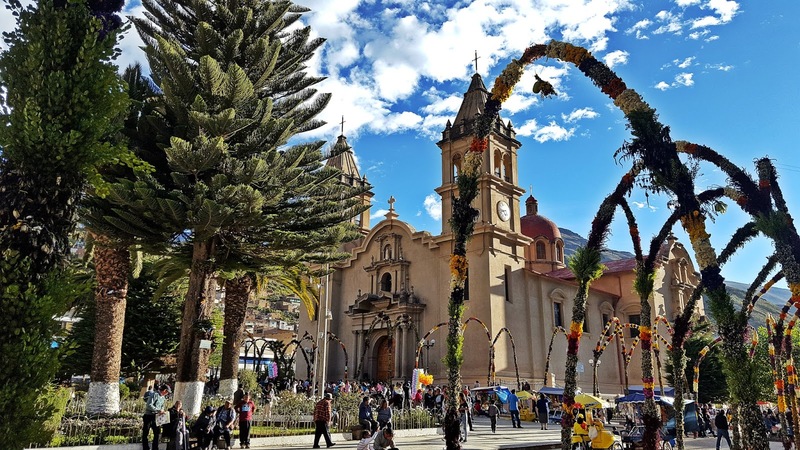 The city’s ten-day religious festival for Easter is one of the most revered Peru Easter traditions in the country, and the city’s 30+ local colonial churches pull out all the stops to mark the occasion. The special events get started on Palm Sunday. A few days later, Ayacucho commemorates Palm Sunday, the Sunday before Easter. Palm Sunday marks Jesus Christ’s arrival into Jerusalem and is often celebrated with palm fronds. The city recreates the Jerusalem arrival by transporting a statue of Christ to Ayacucho’s central plaza on a mule. When the statue arrives, onlookers wave blessed palm leaves in praise. The gorgeous procession concludes in the town’s main church, the Cathedral Basilica of St. Mary. 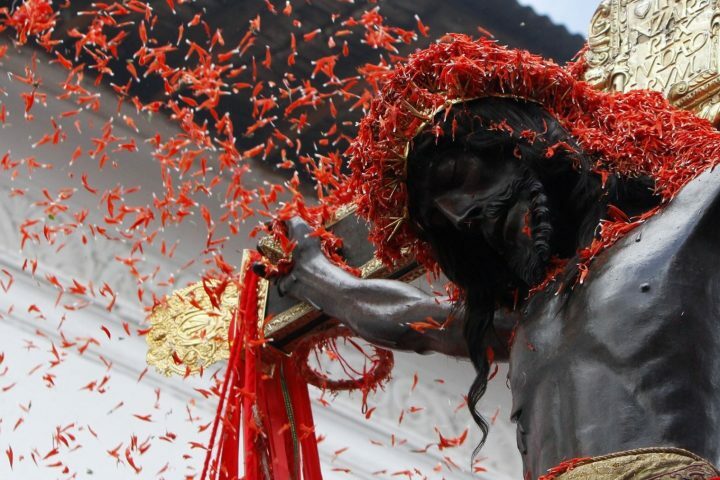 Each day throughout the next week – Holy Week – is marked with vibrant processions and religious ceremonies. On Holy Wednesday, worshippers re-enact the meeting of Jesus and Mary by carrying images of them on thrones throughout the streets. Good Friday is a day of mourning, and is honored as such by switching off all of the city’s lights. Locals then embark on a somber candlelight procession. 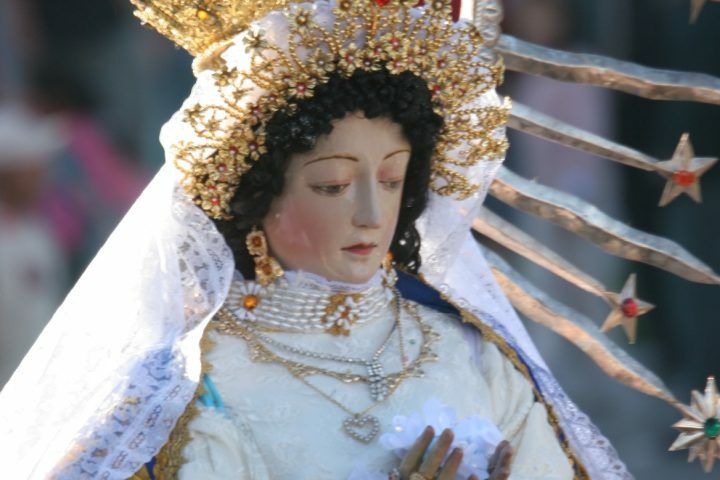 On this Friday, a procession sets out to honor Our Lady of Sorrows, also known as the Virgin Mary. Onlookers have been known to launch pebbles from slingshots to partake in Mary’s sorrow, so be sure to keep an eye out for small stones flying through the air. On Holy Saturday, the city comes alive with joy again to celebrate the anticipation of Easter Sunday. You’ll see folk dancing and hear live music as the streets fill with festivities. Local markets selling food and crafts will be open, and many people will party late into the evening awaiting the light of dawn. (In fact, nobody will bat an eye if you choose to stay up all night.) At dawn on Easter Sunday, the holiday will be celebrated with a rousing display of fireworks, highlighted with lots of celebratory songs and prayers. 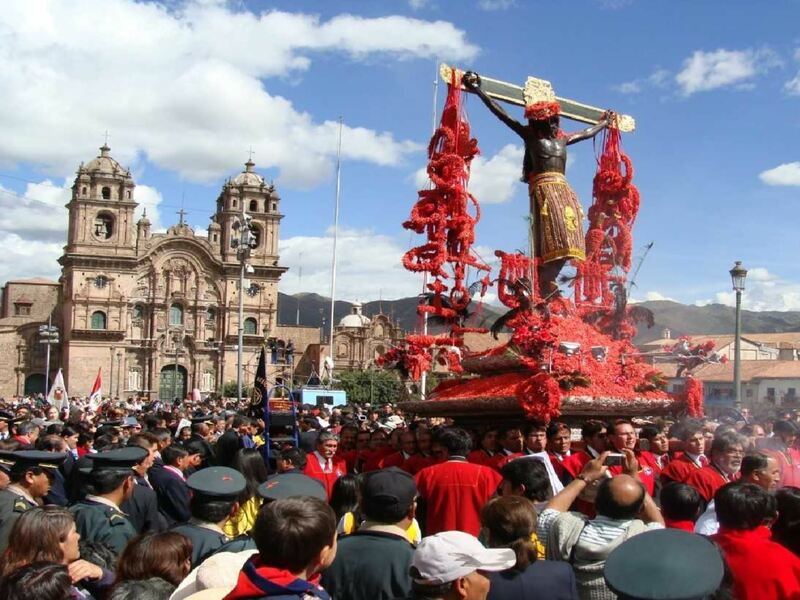 Cusco’s most famous Holy Week ceremony is well-known around the world and was created in remembrance of an earthquake that took place in 1650. Our Lord of the Earthquakes Procession takes place on Holy Monday, the Monday between Palm Sunday and Easter Sunday. 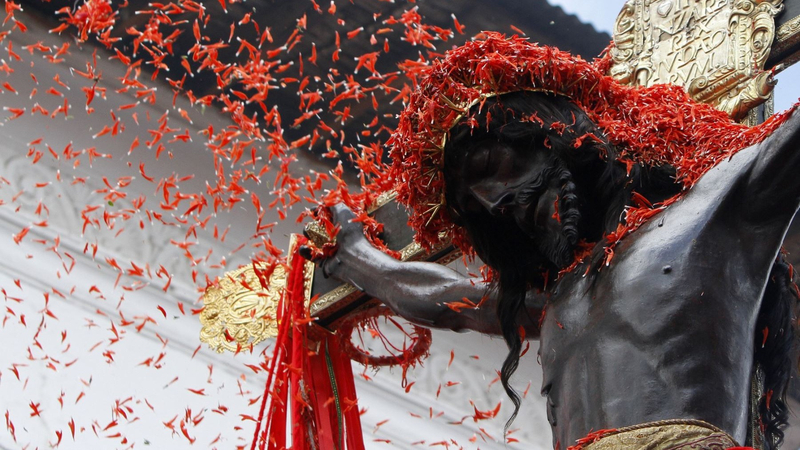 During this ceremony, a six-hour procession carries a statue of the crucifixion of Christ. This sculpture is known throughout the city as Taytacha Temblores (Our Lord of the Earthquakes). 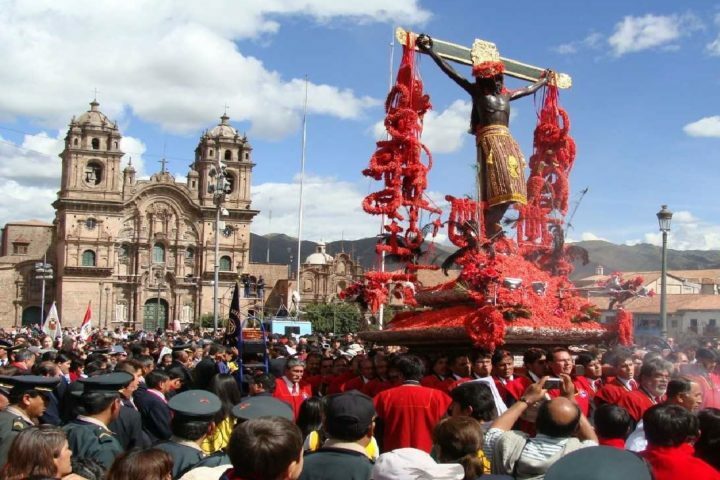 The statue is the patron Lord of Cusco, and its significance in Peru Easter traditions comes along with a notable backstory. Many believe that the statue was sent to Cusco by the King of Spain in the 1600s in hopes that it would help convert local Andean communities to Catholic. Others believe that the statue may have been made in the Andes by native Peruvian artists. Regardless of the statue’s origin, it has become a cherished part of a historic miracle. When it arrived, the statue was placed in the Cathedral, and the smoke of the church’s faded the statue’s hue from a shade of copper to black. In May 1650, a brutal earthquake struck, and locals pulled the statue out of the church and carried it through the streets. Soon afterward, the earthquake stopped. This miraculous occurrence has been celebrated ever since, and the statue has been adored by Cusco locals across the centuries. In 1977, a restoration expert named Pedro Querejazu looked over the statue and found that it was made of wood and cloth, which was stiffened with glue and covered with llama skin. Querejazu also found that the statue’s hair and beard are made of human hair. The procession travels through town and concludes at Cusco’s beautiful Plaza Mayor. Two groups of Quechua singers mark the ceremony with music. The statue’s cross is decorated with red ñukchu flowers, which are meant to symbolize the blood of Christ. The ñukchu is also notable in indigenous religions, so it’s a particularly meaningful symbol of the syncretic nature of this faith. Huaraz honors Easter with a week of celebrations and events, including a procession for each day of Holy Week. Visitors from all over Peru flock to the scenic city on this week. On Palm Sunday, Huaraz kicks off the celebrations by reenacting Jesus’ arrival in Jerusalem. 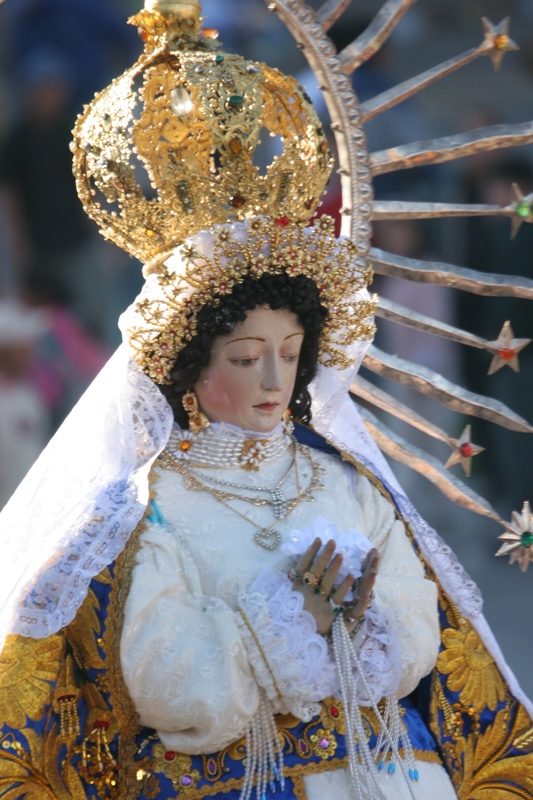 That morning, a statue of Christ is carried through the streets of Huaraz, reaching the Sanctuary of Soledad at noon for Eucharist celebrations. Afterward, worshippers celebrate with a large mass. 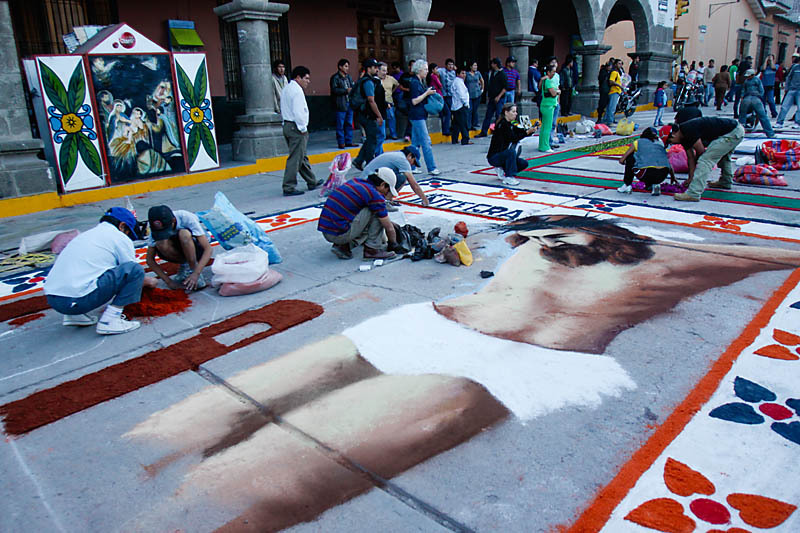 On Good Friday, Huaraz kicks off one of the key events of the week: a procession that begins at 2 am. This early morning procession gets started at the Church of Soledad and re-enacts Christ’s crucifixion. Many Catholic churches participate in what’s known as the Stations Of The Cross, a way of honoring Christ’s suffering during the crucifixion. The Huaraz procession is somewhat reminiscent of that experience but takes place on a much more visual scale. The model of Christ that is carried through the procession has moveable joints, which enable it to act out Jesus’ three stumbles beneath the cross mentioned in the Bible. The procession also includes a plethora of floats, flags from local communities, and images of other notable people from the Crucifixion. 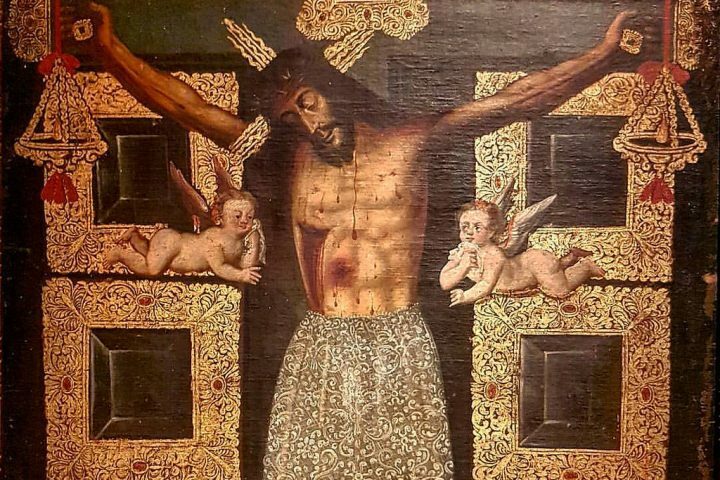 You’ll see images of Biblical figures like Roman soldiers (also known as Chunchos), Martha, Mary Magdalene, Saint Simon, and Veronica, the woman known for wiping Jesus’ face with a handkerchief. On Easter Sunday, the celebrations conclude with two major processions. Each procession starts on the opposite side of town. One is the procession of Christ, and one is the procession of Mary, and both of them meet in the central plaza of Huaraz. When the processions meet, worshippers re-enact Christ’s resurrection and the reunion between Jesus and Mary. Celebrations continue with fireworks and a much-anticipated release of hundreds of birds. 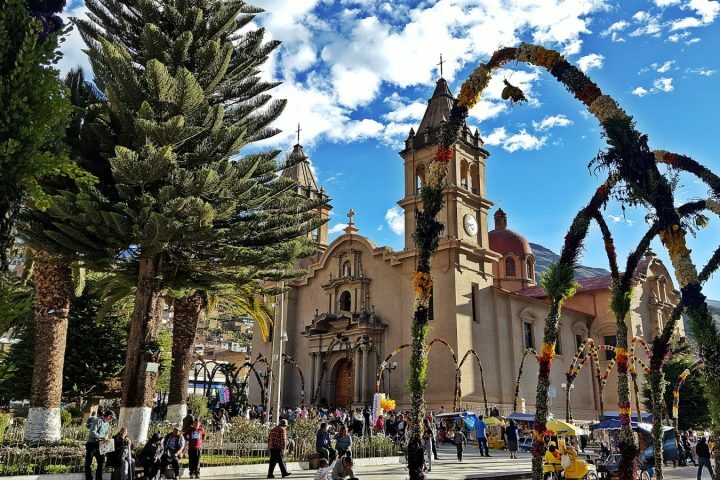 Tarma, a charming town in the heart of the central Andes, is home to one of the most famous – and photogenic – celebrations of Easter in Peru. 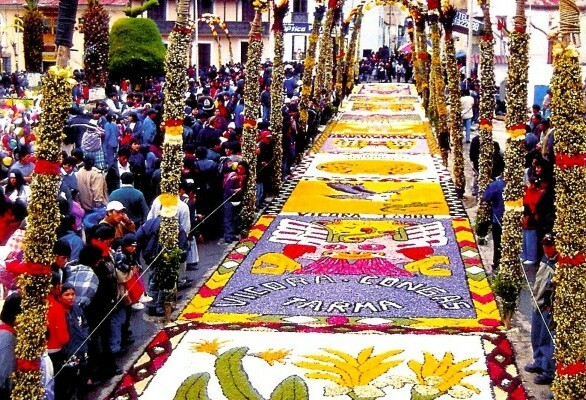 Each Easter, thousands of visitors gather in Tarma as the city streets are decked out with carpets made of the region’s distinctive and vibrant local flowers. Each flower carpet is crafted into a special design, made by talented and creative locals of all ages. These fantastic flower artists start by outlining their creations in chalk and coffee grounds. Then, when they have their outline perfected, they fill it in with the flowers. You’ll see countless intricate flower images depicting all kinds of scenic displays, along with the occasional flower cartoon character. There are even flower archways to linger beneath. 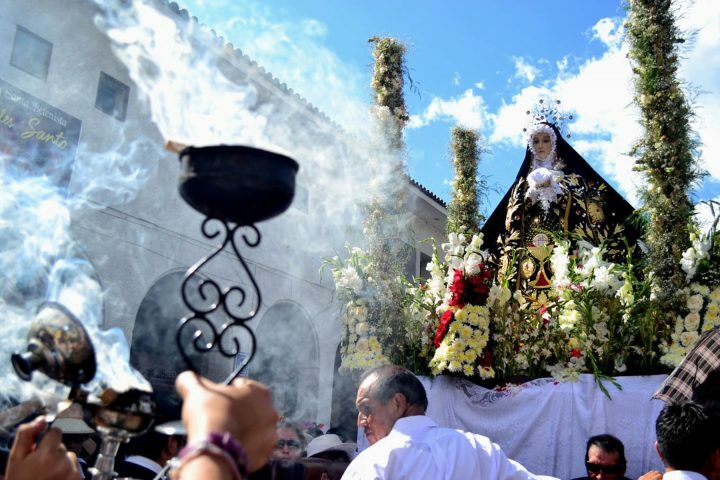 As the flower designs fall into place, Easter week events begin with the procession of the Virgin of Sorrows at Tarma’s cathedral, Catedral de Santa Ana. Afterward, you’ll see many more events throughout the week, including candlelight processions. On Easter Sunday, the whole town celebrates with a procession of the Risen Christ. The entire 11-block processional path is carpeted in the flower designs. It’s a true sight to behold. 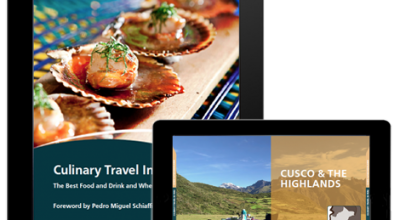 Want to celebrate Peruvian traditions in person? 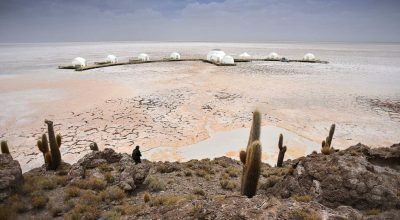 Take a look at our itineraries Connecting with Peru and Textile Traditions and get a face-to-face with our Andean communities.